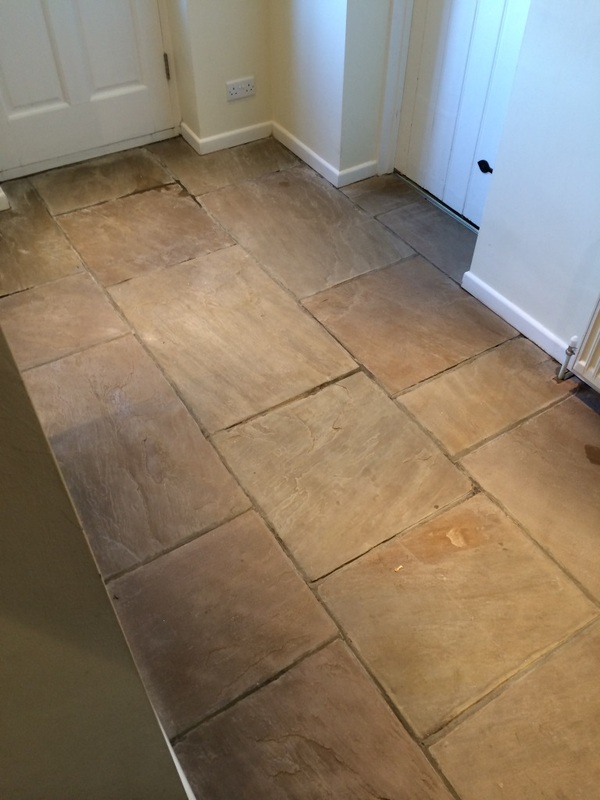 Details below of a tired Slate and Flag Stone floor installed in a house in Cookham, Berkshire; the client was actually the son of an existing client whose floor we had also cleaned recently. 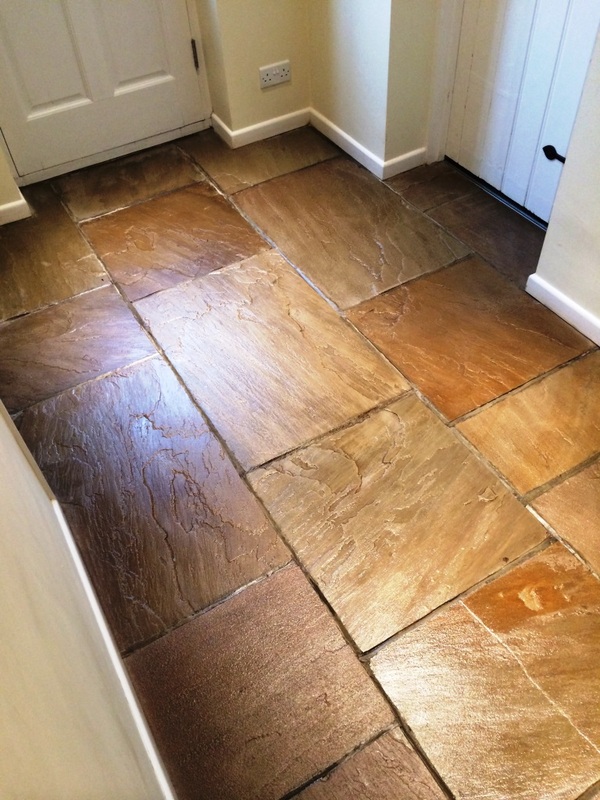 The existing sealer had been wearing away over time and the floor had becoming increasingly ingrained with dirt making it difficult to keep clean, the solution was to strip the floor back and re-seal it. To clean and strip the tiles of the remaining sealer the floor was soaked in a solution of Tile Doctor Pro-Clean and scrubbed in using a weighted rotary machine to help loosen the soils and break down the sealers. The soiled solution was removed and it was clear some areas of the floor needed further attention to remove the sealer so an application of Tile Doctor Remove and Go was applied which was left to soak in for a while to assist in breaking down the sealer before being scrubbed again. Once the floor was clean and the sealer was gone the floor was rinsed using our hot truck mounted extraction system and was then allowed to dry for 36 hours. 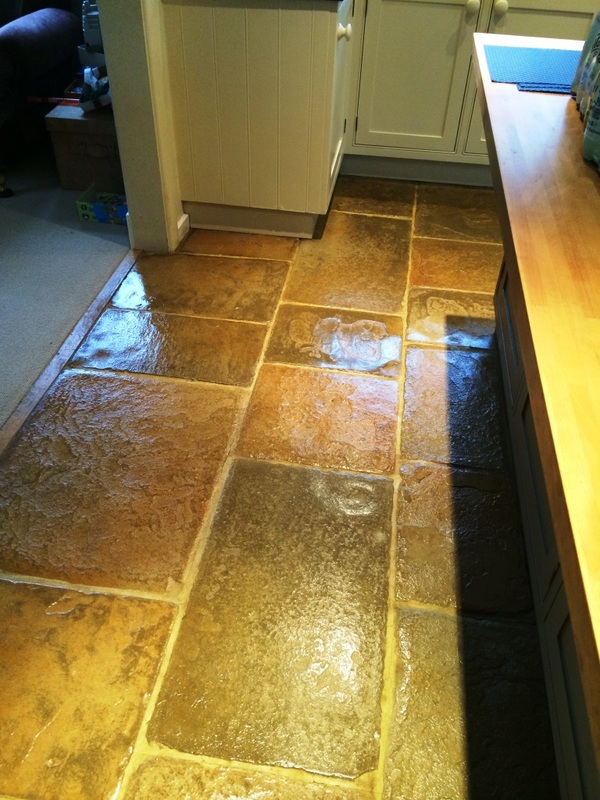 When we returned I checked to make sure the floor was dry and ready to seal, all was well so I then sealed both the Slate and Flagstone floors with six coats of Tile Doctor Seal and Go using a paint pad applicator. The floor looked much improved when finished I took time to explain how to clean the floor using a Neutral Cleaner that will extend the life of the sealer, the customer was pleased with the service and left the following comment on the Tile Doctor feedback system. “We are very pleased with the results. 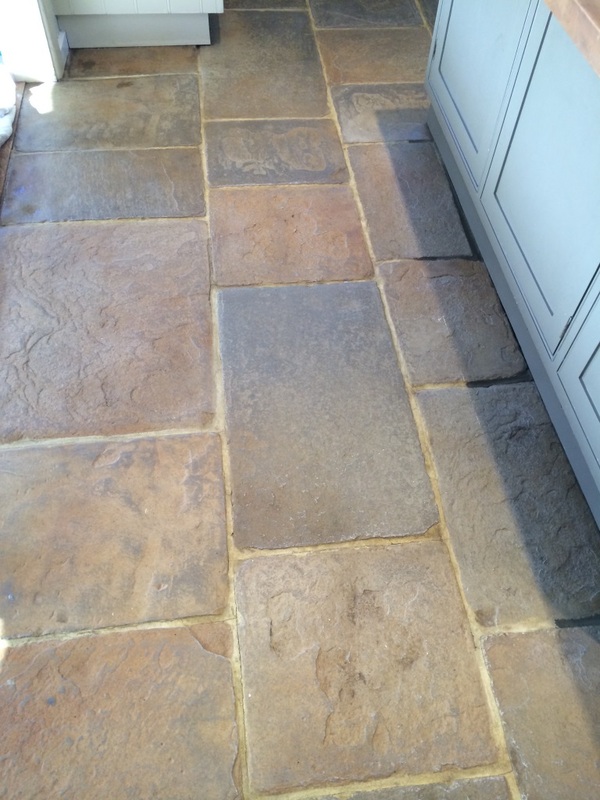 This entry was posted in Slate Tile Posts and tagged berkshire, cleaning services, cookham, flagstone tiles, floor restoration, sealing tiles, slate tiles, stone floor sealing, tile cleaning, tile maintenance, tiled floor by AbzDominise. Bookmark the permalink. Nice work. the floor looks much improved and good tip on regular cleaning.